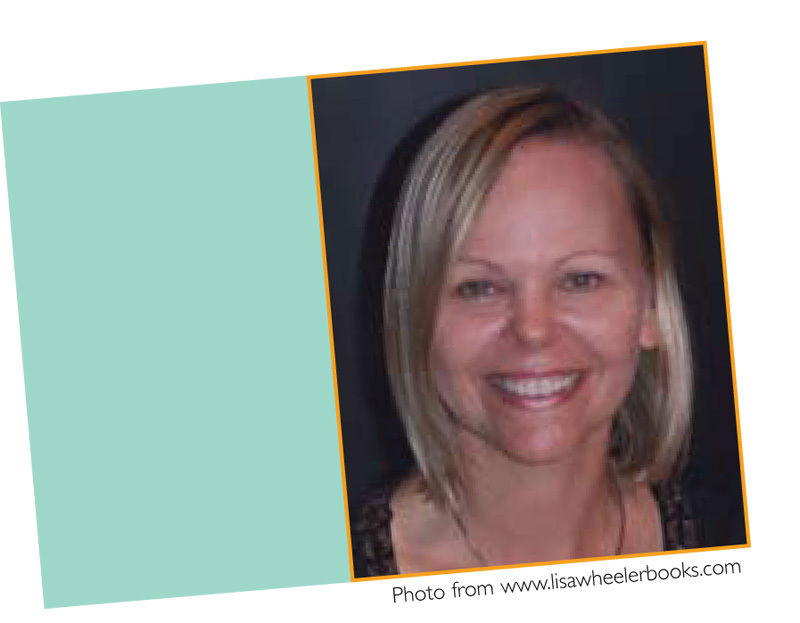 Lisa Wheeler is passionate about children’s books.“I love ever ything about them, includ- ing the smell.”To date, Lisa has twenty-eight titles on library shelves, with more to follow over the next few years. She’s written picture books in prose and rhyme, an easy reader series, two books of poems, and creative nonfiction for the very young. Her newest titles are Dino-Baseball (CarolRhoda Books), the third book in her popular Dino-Sport series, and Ugly Pie (Harcourt) a folksy tale about Ol’Bear who has a hankerin’ for his favorite pie and journeys out to find it.